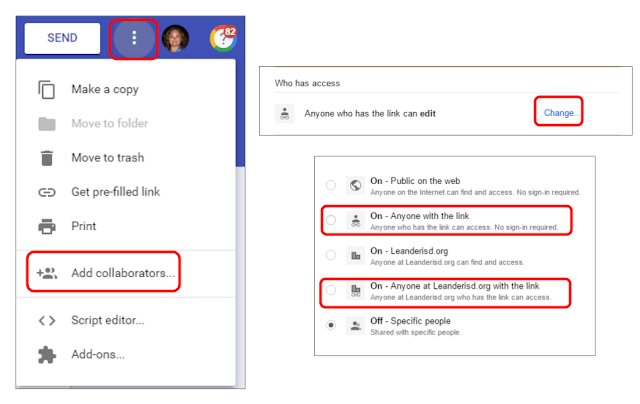 Step 1: Change the sharing permissions of the Google Form to 'anyone with the link can edit' or 'anyone within (domain) with the link can edit.' I have found that public on the web can get "glitchy" with this feature. Step 3: Share the URL (with copy at the end) with anyone you want and when they open the URL, they will be prompted to make a copy. Here is a link to my presentation that shows how to create a Google Form and has the majority of my Google Form templates (templates start on slide 34). Feel free to copy any and all templates.